Featured BLOG, Hopewell Gardens, The Academy for G.O.D. 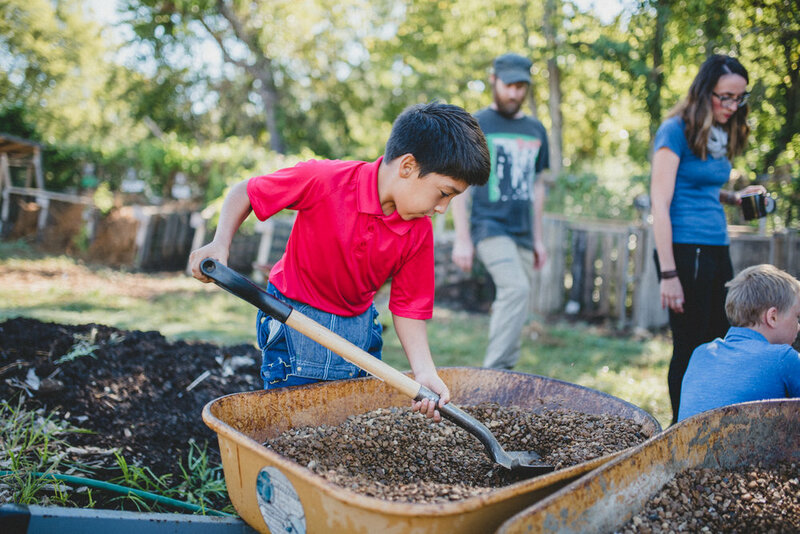 Imagine a school where every student, from those in kindergarten to the graduating seniors, has a gardening class. These students learn valuable bio-intensive farming skills, have daily hands-on experience growing vegetables, learn about the broader issues of food scarcity in the world, and even see the produce they helped to grow show up on their lunch trays. Okay, now stop imagining, because that school is called the Academy for G.O.D. Every school day, students can be seen in the community garden of Global Outreach Developments Int’l participating in the everyday affairs of growing vegetables. Whether they are being tutored by the on-site garden managers, or getting their hands dirty while harvesting the latest crop, it’s a beautiful sight. The relevancy and value in learning such skills cannot be stressed enough. Students are taught gardening with a global perspective. Instructors teach students to consider the places in the world where implementing such education has the capacity to positively impact the quality of life. Worldwide, so many people either go without food or have very little nutritional value within their diets. Students are learning what capacity they have to make a difference. In addition to learning the current bio-intensive methods implemented in the G.O.D. In’l garden, students also get to push the envelope by experimenting with new and innovative projects, such as the recent organic aquaponics installation (the combination of raising fish and vegetables in one integrated system). I don’t ever recall personally being so enthusiastic about a school project as these students were, seeing their aquaponics experiment from start to finish. Sound too good to be true? Well, there’s more. Every week, a portion of the vegetables that students grow go directly into the to the lunch program of the Academy. Quite literally, students see their food from the early stages of growth on the farm, all the way to their table at lunch. Also, for the icing on the cake, there’s something about the experience of working in a garden that seems to have a positive impact on a kid’s palate. It’s not every day that you hear kids talking about the carrots or the peppers that they harvested as being the thing they’re looking forward to at lunch - well, I guess except for here at the Academy for G.O.D.